The video above highlights just one of the projects shown by the organisation. Here is some more background that is taken directly from its website. MakeChangeTV is a Web-TV platform for social innovation and sustainability with video contents from both MakeChangeTV and our independent contributors. 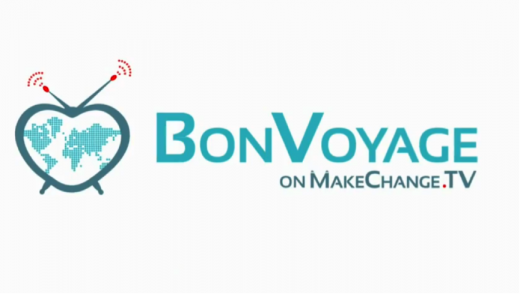 Our main show is called “BonVoyage”. The purpose of the show is to bring you insights and knowledge about innovative and sustainable social projects around the world. We also cover different events about sustainability lifestyle and development trend within the field of social entrepreneurship. Our upcoming series is “EduVation”. It’s all about Cultivation of Innovative Education projects. Julie will take you through her personal journey discovering all wonderful educational projects that support the development of children as whole human beings. Our focus is on creativity and quality in children education around the world. MakeChangeTV platform is owned by Make Change which is a social business based in Scandinavia. Our purpose is to empower YOU to create positive changes. Our goal is to increase the awareness of how social innovation and entrepreneurship creates sustainable solutions that improve the quality of life for people around the world. We believe in the power of making a conscious choice in doing good and how one conscious choice can make a difference in us and the people around us. Imagine, explore and develop new solutions that can contribute to the balance and sustainable development of the world. Create solutions that are sensitive to the diverse cultures, origins and beliefs of people and leverage these differences to optimize the creative outputs. Be empowered and take action! Use the tools, the strategies and the stories of the people who are making a positive impact and improving the quality of life of the people in their community to be an agent of change. Share your ideas, solutions and experience locally and globally and learn from other change agents from all over the world to increase the positive social impact of your solutions. As a social business and a network organization, we are committed to support the development of social innovation and sustainability around the world. We welcome you as our partners, sponsors, supporters and professional volunteers. Julie has a track record in successfully developing media. In 2009 she co-founded Denmark’s first Web-TV show in English. This helps foreigners to know more about the Danish culture and society. Here is another video from MakeChangeTV.